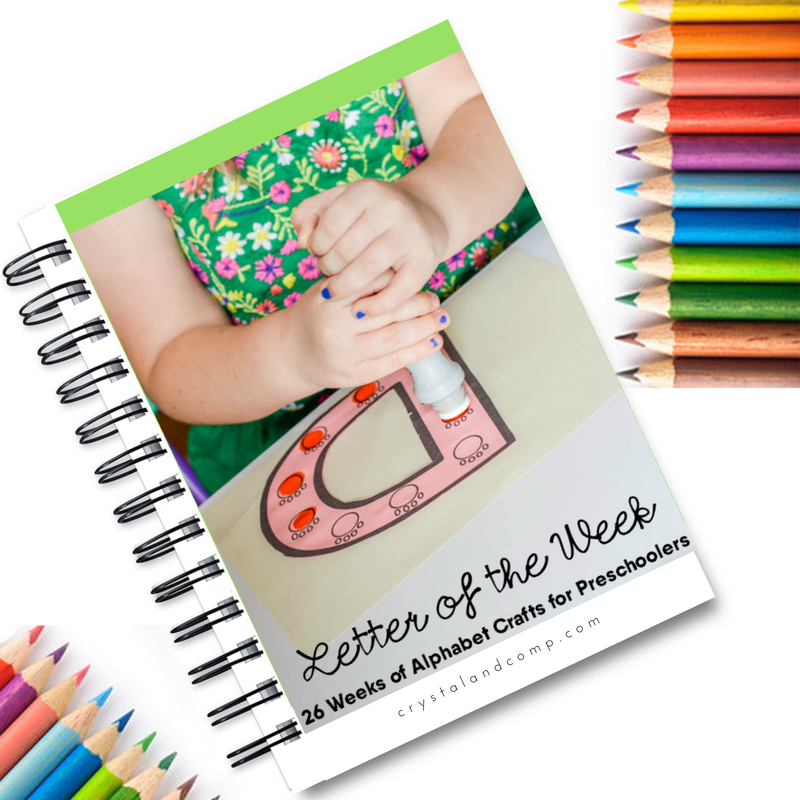 There are lots of crafts you can do for letter /Nn/ but I promise your preschooler will love this one! Letter N is for nest and night! 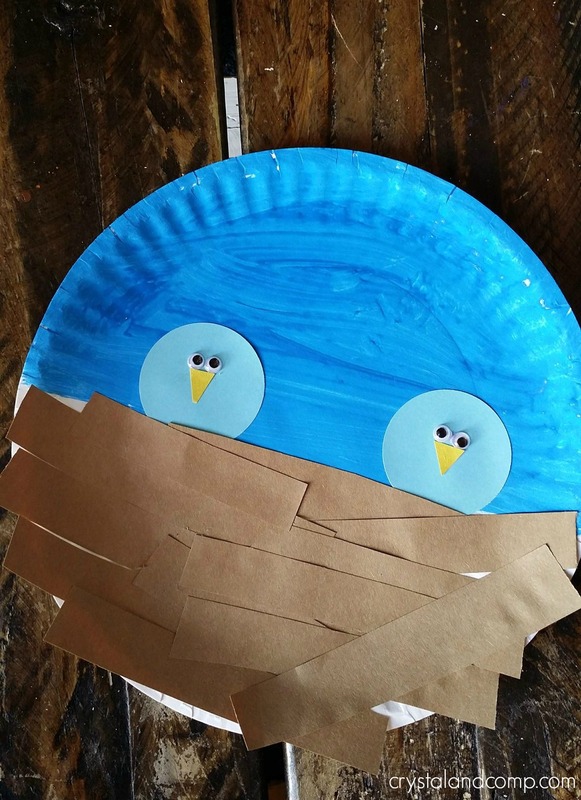 We have created this sweet little nest paper plate preschool craft as part of our preschool learning and this one is great hands on learning fun! 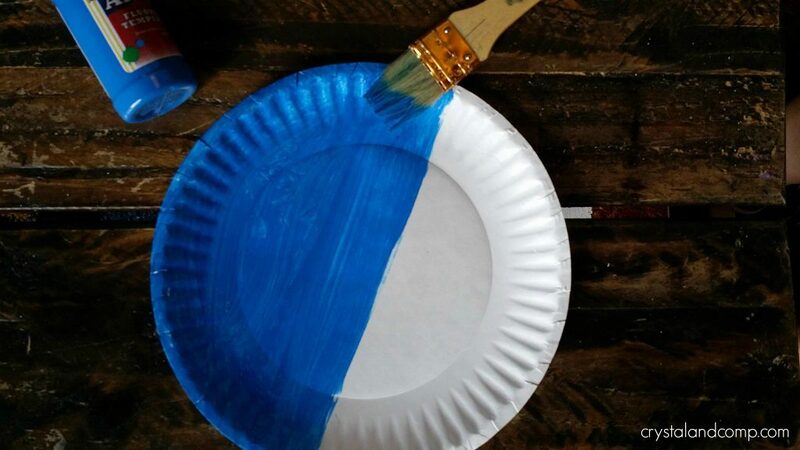 The first step is to paint half of the paper plate with your paint. 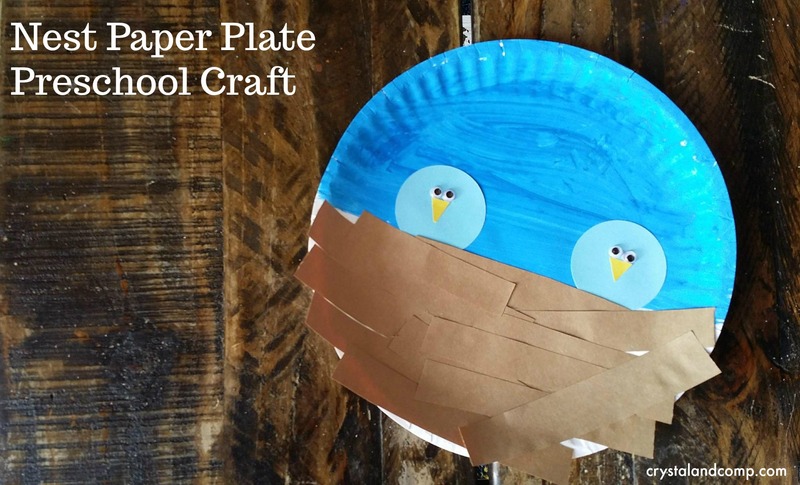 While the plate is drying cut 2 or 3 circles from your card stock. These will be the birds for the nest. 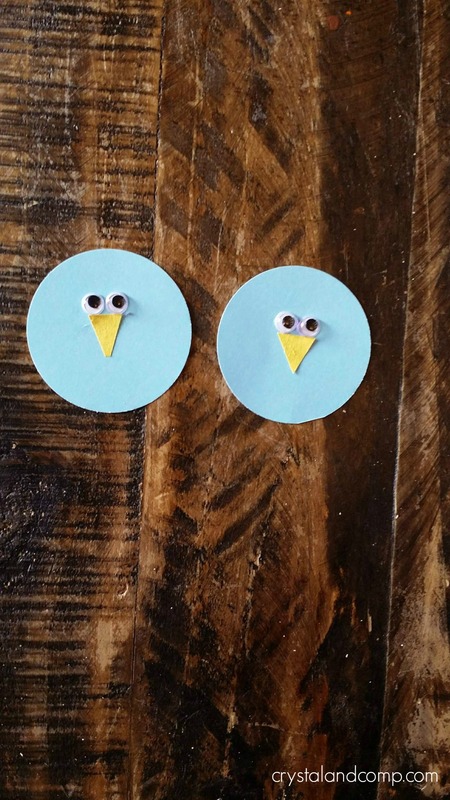 Go ahead and glue on the eyes and a small yellow triangle beak to the circles. Begin cutting strips from the brown construction paper. This will serve as the nest. These do not have to be perfectly cut. This is a great time to practice those fine motor skills. If your preschooler is just not comfortable with using scissors the option of tearing the paper into pieces is available too! 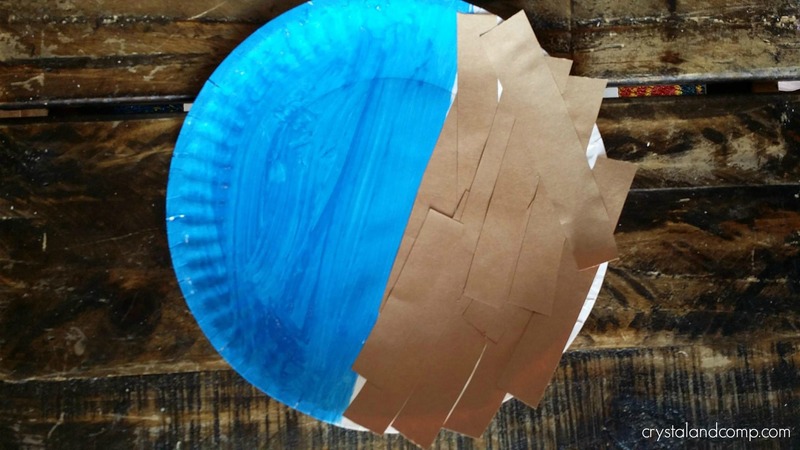 Glue them to the bottom, unpainted part of the paper plate. 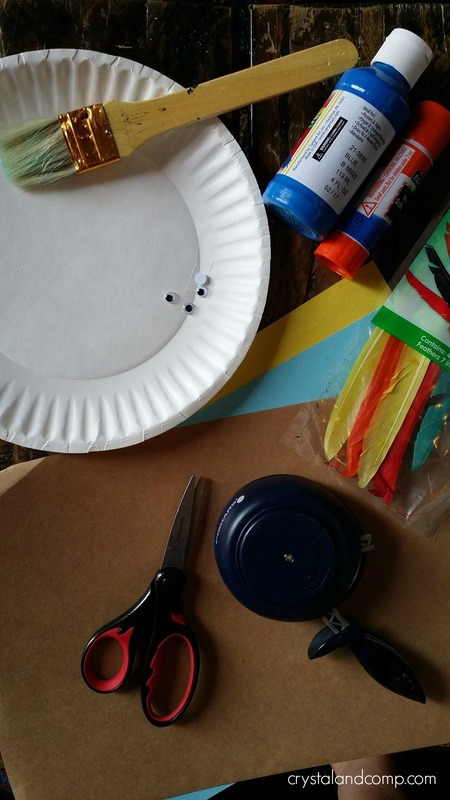 Glue on the birds to make the nest complete! If you chose to include feathers you can do that here as well. 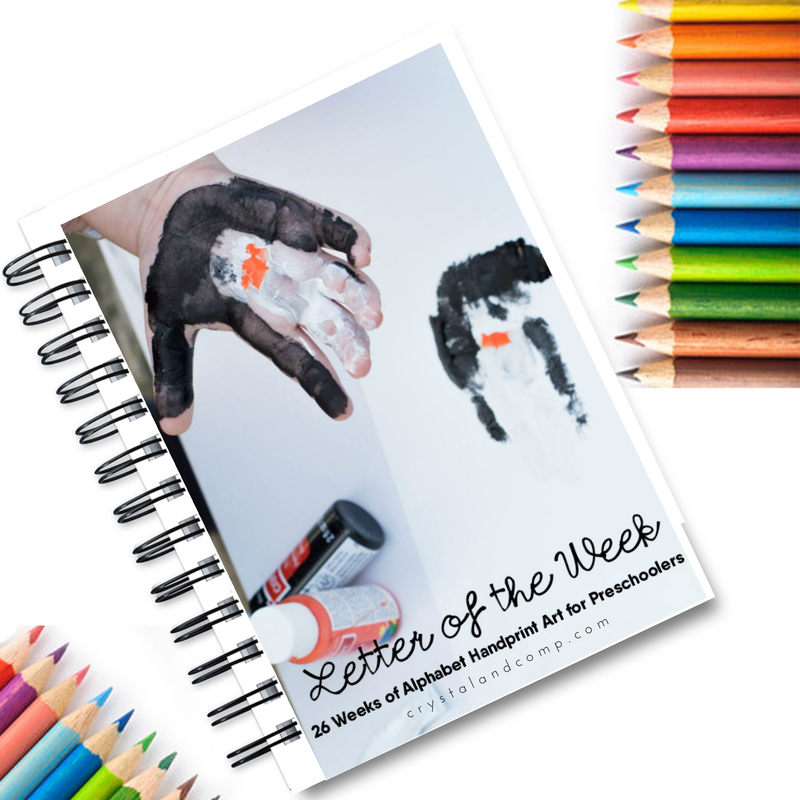 26 weeks of letter of the week crafts all in one book! 26 hand print art templates that go with the alphabet.